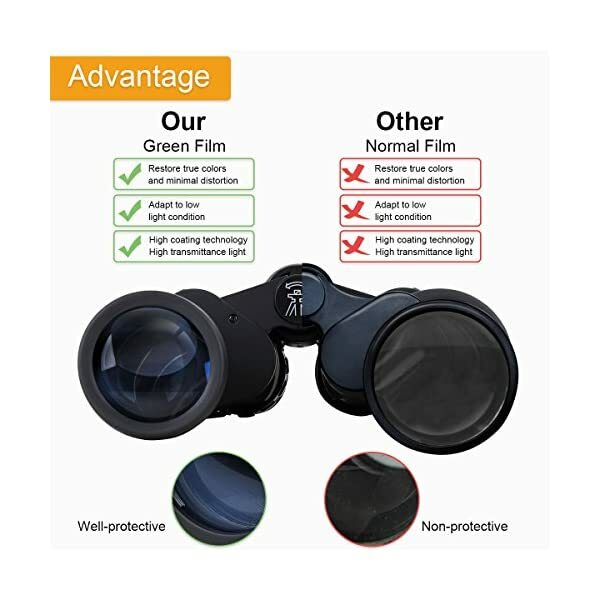 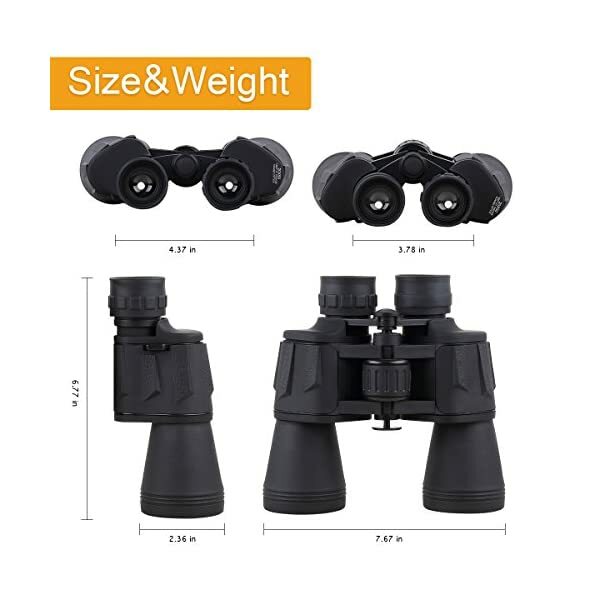 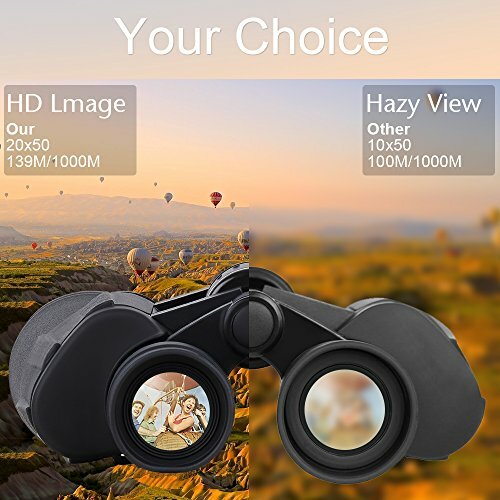 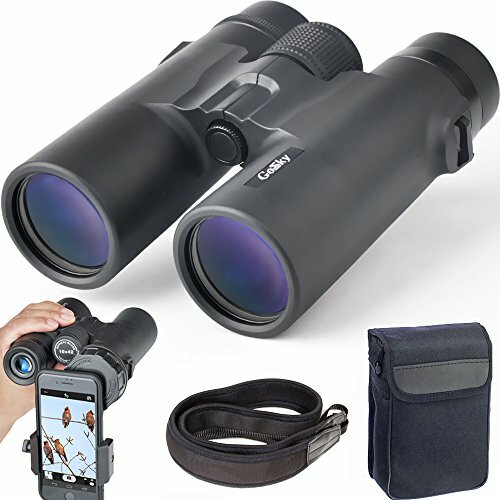 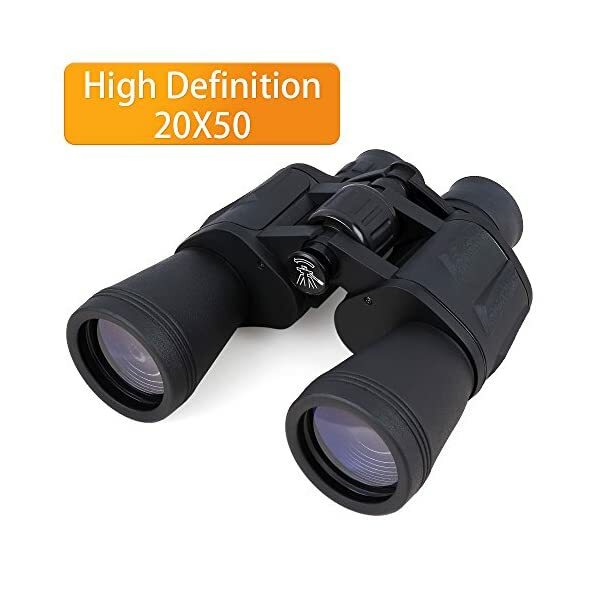 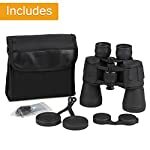 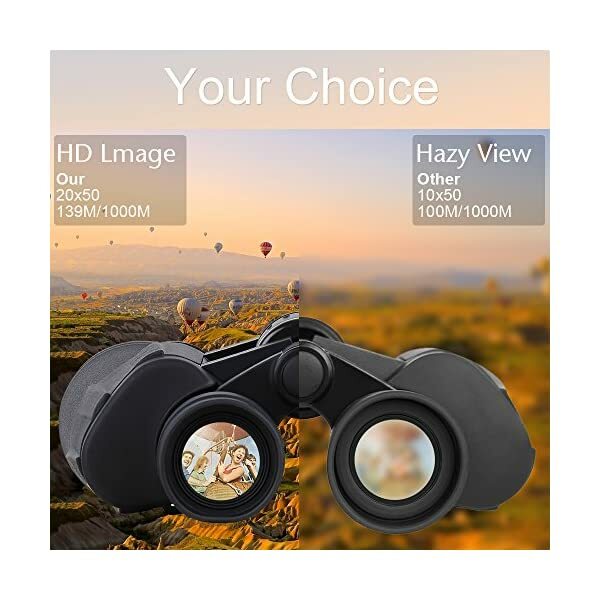 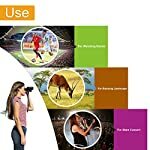 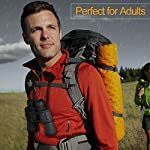 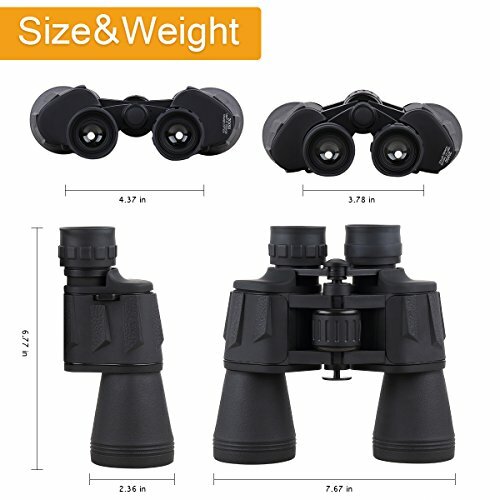 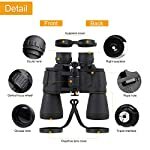 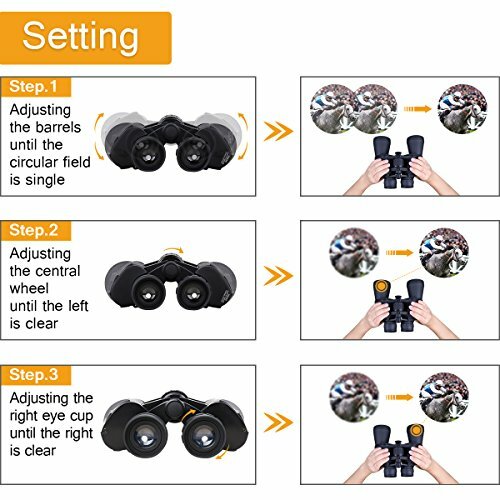 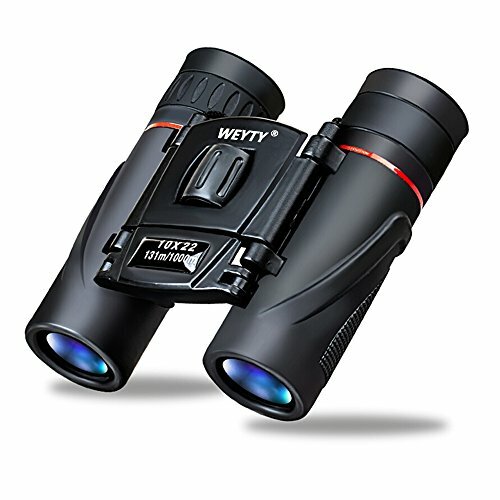 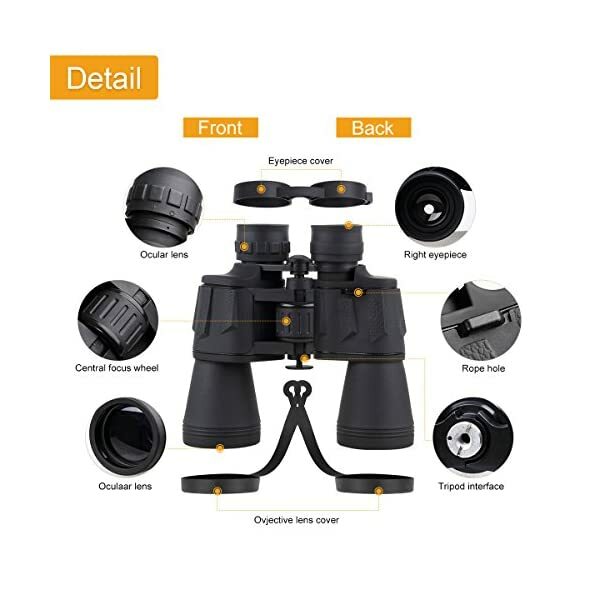 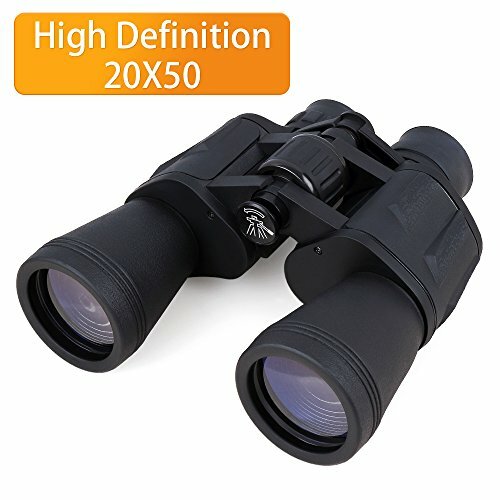 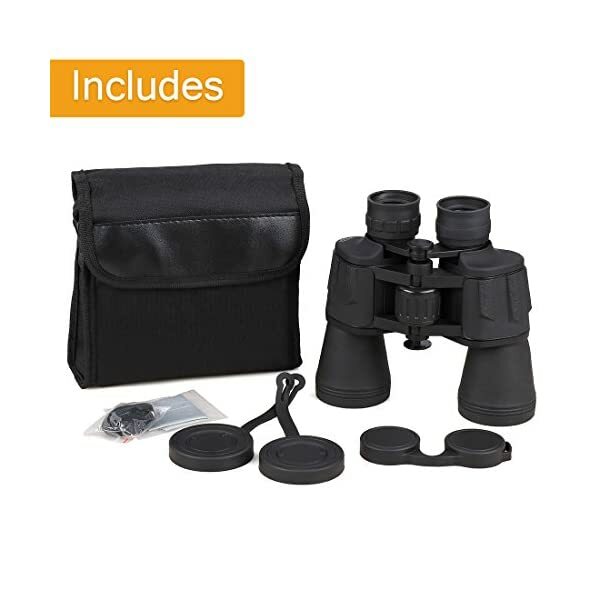 Powerful Binocular: Full 20 x magnification and 50mm object lens diameter are more powerful than other Binocular like 10×50 binoculars,10×42 binoculars, 7×50 binoculars, which is good for clear image and large view. 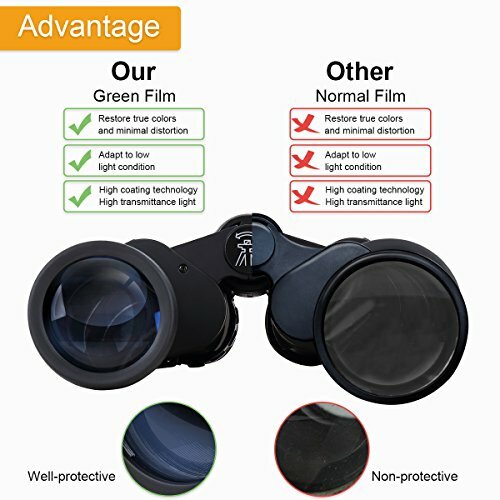 Full Multi-Coating(FMC):With FMC Green film, all optical glass lens, guarantee superior light transmission and brightness guarantee superior light transmission and brightness. 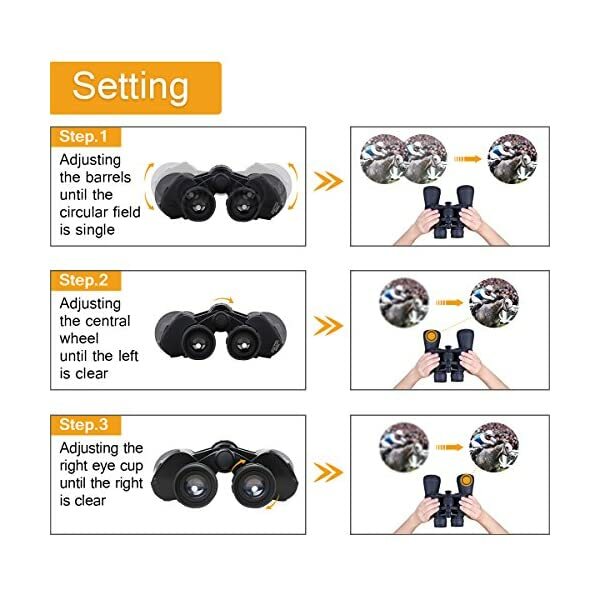 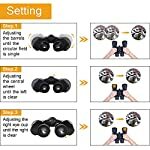 Adjusting Focus: Right eye cup and center wheel play a role in adjusting focus, which is easy for kids and adult to operate. 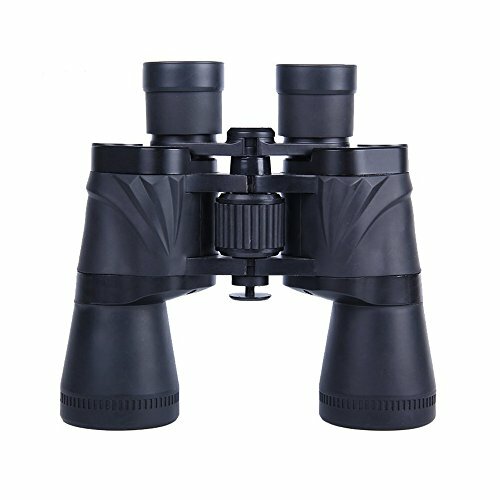 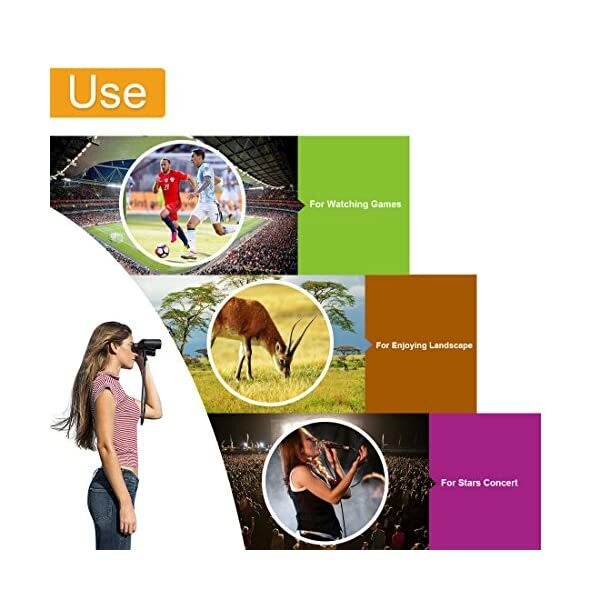 Outdoors Application: Simple appearance and easy to use for watching racing, traveling, hunting, hiking and exploring. 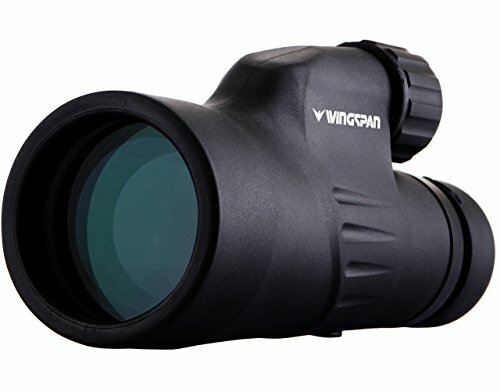 View Angle: Designed with premier high-quality prisms, 168 FT/1000 YDS is easy to catch fast moving subjects.